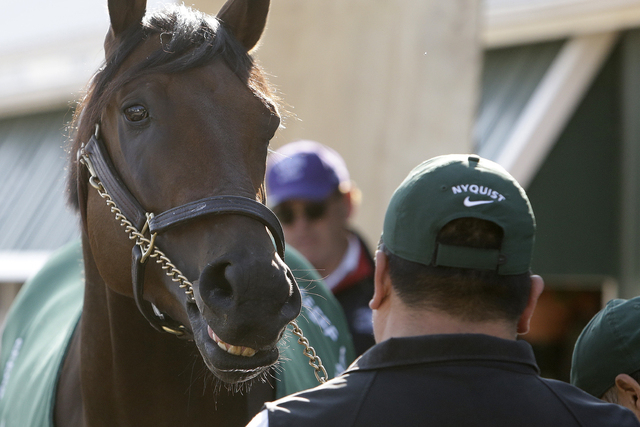 Nyquist has soared to horse racing’s pinnacle, yet isn’t getting the credit he deserves the year after American Pharoah won the Triple Crown in dominant fashion. Timing is everything in life. 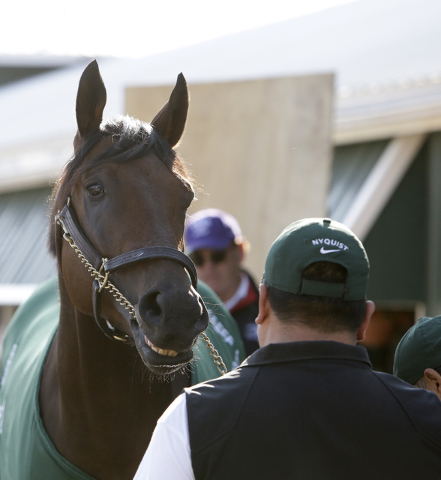 Nyquist could not have built a more impressive resume heading into the Kentucky Derby, and his winning romp at Churchill Downs on May 7 turned even more heads. But the horse’s biggest shortcoming appears to be bad timing. Through no fault of his own, Nyquist has soared to the sport’s pinnacle, yet isn’t getting the credit he deserves the year after American Pharoah won the Triple Crown in dominant fashion. The Derby result was chalky, to say the least, and Saturday at Pimlico Race Course in Baltimore, a carbon copy seems to be in order. Nyquist has beaten Exaggerator in all four of their matchups, and there is little reason to see the fifth meeting being any different. Or is there? Mother Nature and some new shooters can muddy the waters here, with an emphasis on muddy. Generally speaking, the Preakness Stakes is a bad betting race. Any prices to be had are usually produced on the bottom of trifecta and superfecta bets. The best way to try to make a score while enjoying the Preakness has been to find some salty prices in the lead-up races via Pick 3s and Pick 4s. 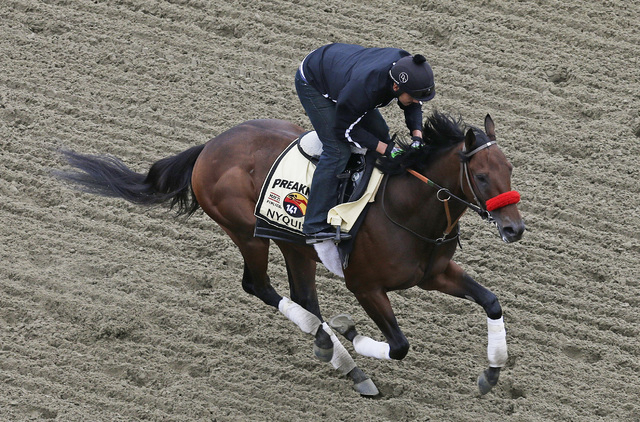 On Derby Day, the $1 Pick 4 paid $11,447, with Nyquist in the anchor leg. That kind of insane value doesn’t exist today, unless the Derby champ disappoints. So, how will the race be run? Nyquist has solid tactical speed, and jockey Mario Gutierrez should be able to secure a comfortable position to let his charge do the rest. That’s his job here — break clean and don’t get pinned on the rail. It sounds simple enough, but there’s an enormous amount of pressure on the rider. Last year in the Preakness, Victor Espinoza called an audible in the gate in the Preakness and won the race in the first 50 yards. The skies had opened up moments before the race, and Espinoza fired out from the rail, which was not the game plan. It was gutsy, but absolutely the right call. A similar dilemma faces Nyquist’s rider. The forecast calls for nearly half an inch of rain in Maryland, so count on a sloppy track. Enter Exaggerator, whose best race by far was in the Santa Anita Derby over a super sloppy surface in Arcadia, California. Is it possible the track condition can put Exaggerator over the top Saturday? The answer is yes, with caveats. It would be hard to argue with anyone upgrading Exaggerator’s chances because of wet conditions, but that also would require one to diminish Nyquist’s ability to handle the surface, which might be an egregious error. Nyquist, the son of Uncle Mo, has won all eight of his races and looks as if he could run on marbles and produce a big effort. His lone win over an off track was the Florida Derby, where Mohaymen was vanquished. The Beyer speed figure (94) was one of the main reasons many thought Nyquist was vulnerable in the Kentucky Derby. In retrospect, Nyquist was simply going as fast as required to get the win. There was obviously much more under the hood if needed, and that was on display in Louisville. What of the new shooters? There’s a lot of so-called cheap speed in this race that will require the riders on the contenders to work out the best trip possible. Bob Baffert arrives on the scene with 10-1 shot Collected. It would be foolish to ignore a trainer who has won this race six times, but Collected seems to be a notch below the main players. The buzz horse is going to be Todd Pletcher’s charge, Stradivari, the third choice in the morning line at 8-1. The lightly raced son of Medaglia d’Oro has improved every race and posted an impressive allowance score at Keeneland that produced a Beyer figure of 100 in a 14-length romp. Drawing Post No. 11 doesn’t help his cause, but it’s not necessarily a death knell, either. Stradivari possesses tactical speed and has shown the willingness to pass horses. With another improved effort, he has an opportunity to make some serious noise in the deep stretch. Racing luck is a huge factor every day. For co-owner and breeder John Gunther, his good fortune may have come at the Keeneland September Sale, where little interest in Stradivari put the horse back in training and still in his stable. He’s fresh and has worked like a top at Churchill Downs and Belmont Park in preparation for the second jewel of the Triple Crown. History has a funny way of repeating itself in horse racing. Stradivari’s connections are hoping he can follow in the footsteps of Bernardini, who won the Preakness in only his fourth start in 2006. I’m sticking with Nyquist and giving Stradivari a shot to grab second money. I could be selling Exaggerator short, but I will look for his late charge to grab third at this shorter distance. The countless defections of Derby horses leads to me to believe this collectively is a weak 3-year-old crop. At 3-5 odds, and with a win likely offering no better than even money at the Belmont, a play on Nyquist to win the Triple Crown at plus-250 might be a smart play. Suddenbreakingnews, fifth in the Kentucky Derby, will be waiting in three weeks, but will he be trying to deny history? Brian Blessing (Sportsbookradio.com) is a Las Vegas handicapper and radio host.